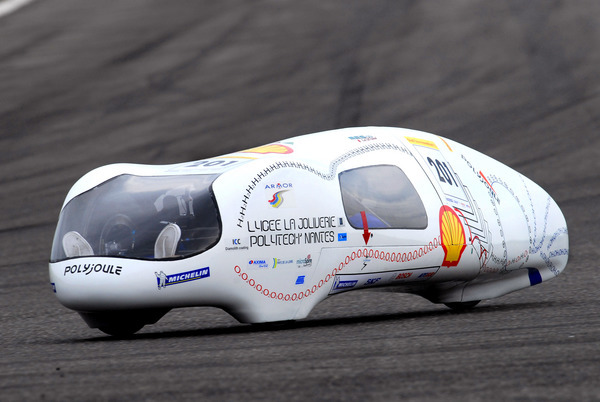 The world’s most fuel efficient car developed by French students can travel up to 25,000 km/litre. A test drive between London and Paris was performed which costed only 20 cents. If the calculation are done on the same pattern, it would cost only US$ 26 for the travel between the farthest points on the earth. The car was designed by French students at La Joliverie College, Nantes. The world’s most fuel efficient car developed by French students can travel up to 25,000 km/litre. 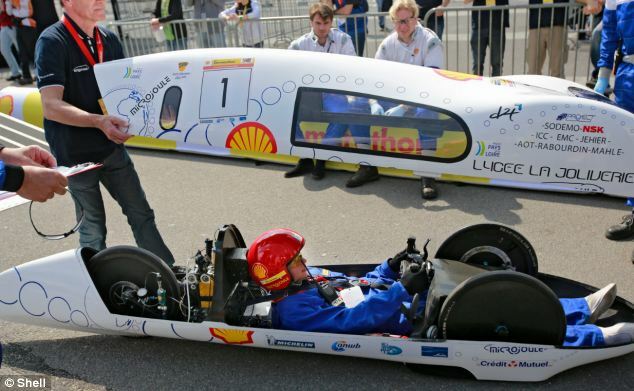 The car has already won the Shell European Eco-Marathon. The car is named Microjoule and made of carbon fibre which makes it too light with a total weight of 35Kg. A test drive between London and Paris was performed which costed only 20 cents. This is the most economical car ever in the history. At the contest of most fuel efficient car in Netherlands its mileage was calculated as 3330 km in a litre of fuel. Doing the calculations in the same way it would cost only US$ 26 to travel between the farthest points on the earth. The car was designed by French students at La Joliverie College, Nantes. The Microjoule has beaten 200 cars which participated in the event from around the world. The secret behind such efficiency is its low air resistance, very small drag coefficient and low rolling resistance. The aerodynamics of the car let the air pass through it in an efficient way. The car has such a low resistance that on spinning, the tires keep on moving for several minutes. The car has an internal combustion engine that needs ordinary fuel to operate. Another record was also set by the students of Hogeschool van Amsterdam at the event who set circuit record with 428.5 km/KWH. The vehicle invented by Dutch students is named H2A and costs only US$ 27 between the widest points on the earth. France on the other hands is on the way to Urban Concept category where you will see these economical cars on the roads soon. Already a car has been tested in France that can travel 468.85 km in one litre. These types of exercises no doubt turn the dream of inexpensive cars into reality. Such activities must be encouraged to make the world green. June 1, 2014 in Travels. ← Are we still Sleeping , then Ready to die soon.